Maintain the beauty of your kitchen sink basin with a VIGO Grid. 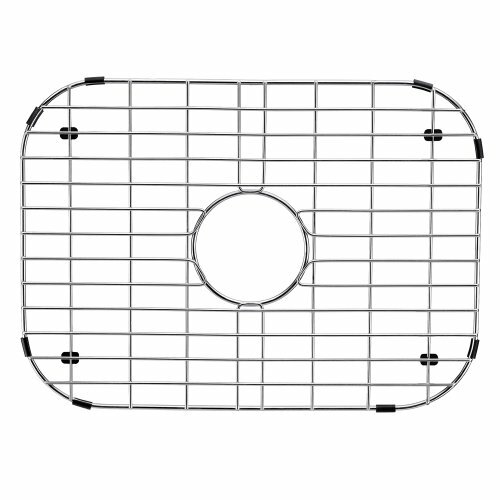 This grid is designed to conveniently fit into the bottom of a compatible sized kitchen sink. Constructed of premium grade 304 stainless steel with a chrome plated finish. With vinyl feet and protective bumpers you can be sure that your sink will be protected from scratches and general daily use. Dimensions: 18.125-in. L x 13.375-in. W x 1-in. D, Corner Radius 3.5-in. If you have any questions about this product by VIGO, contact us by completing and submitting the form below. If you are looking for a specif part number, please include it with your message.